Hello, friends! I hope those of you in the United States had a wonderful Thanksgiving yesterday with family and friends! 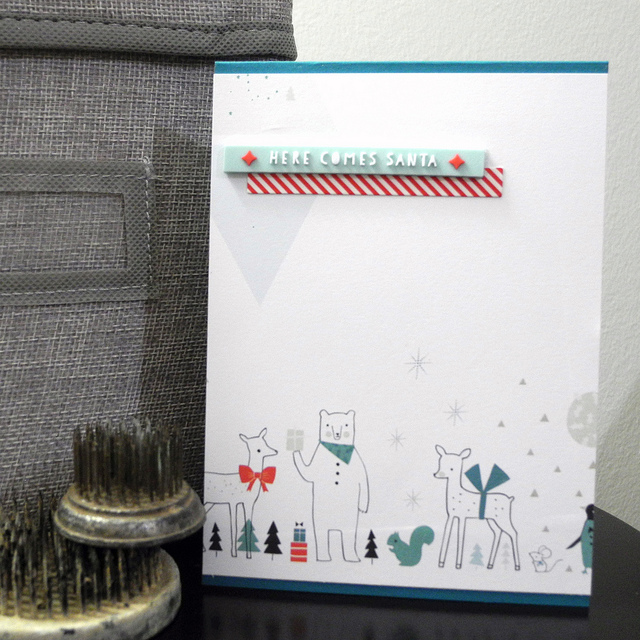 Now I am definitely ready to dive into my holiday card making and I know my Pinkfresh Studio Christmas Wishes papers, stamps, and embellishments will be featured LOTS in my cards this year. I just love this collection! 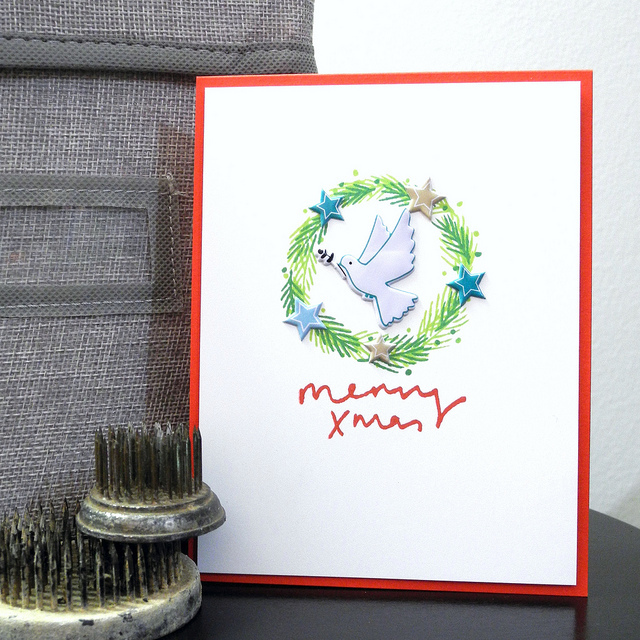 I have two holiday cards to share with you using the collection today! For this card, I used the stamps, layering them to create the wreath and then stamped the sentiment in a nice, crisp red. I then used the puffy stickers (MY FAVORITE!) to add details to the wreath, placing the dove in the center. For this super fun card I let the awesome patterned papers be the star! I then added a strip of striped accent and a rubber sticker (my OTHER favorite), for the sentiment. This card was ridiculously simple, but I seriously love how adorable it turned out! sweet cads, this sticker set is soooo FAB! Fabulous! I love the cards. Simply pretty! So sweet. That bow around the deer's midsection cracks me up. Just sayin. Beautiful cas cards! Hope you had a wonderful Thanksgiving!